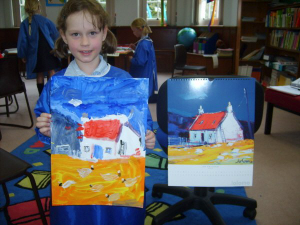 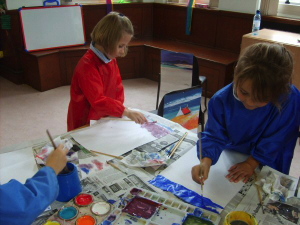 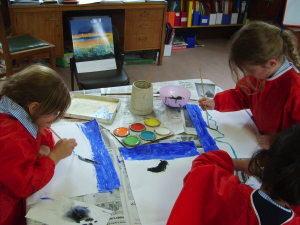 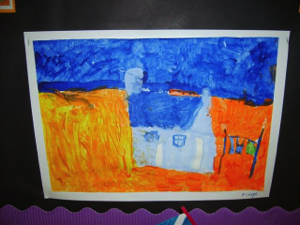 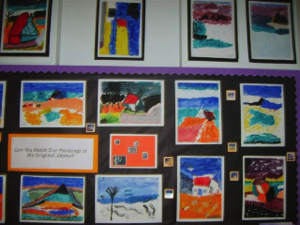 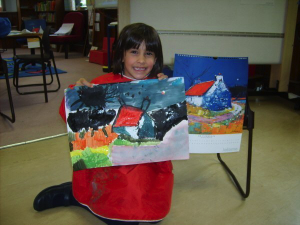 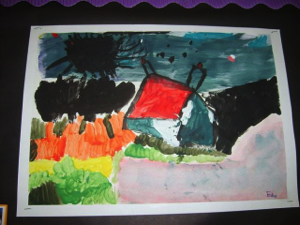 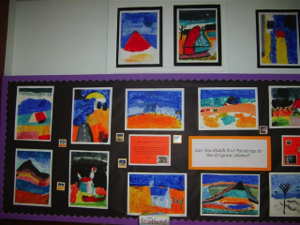 Year 2 studied prints from the 2009 calendar and discussed how the paintings made them feel, the contrasting features form where we live, use of colours, textures with the paint etc. 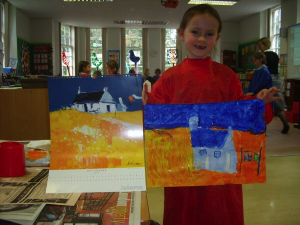 They then chose their favourite print and they have painted their own interpretations. 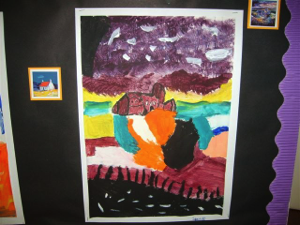 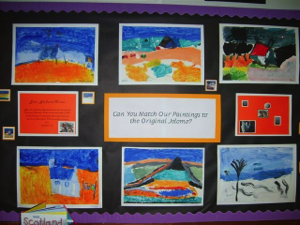 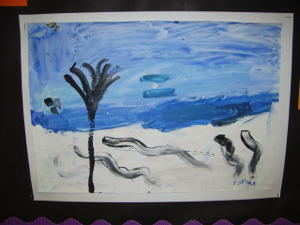 The photos of Year 2 and their work appear with permission of the school and of the parents.